This stationary bar stool has a contemporary design and are perfect for the individual who wants style and reliability at an affordable price. 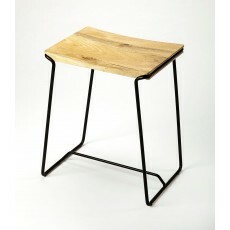 Perfect for a cafe, restaurant, or office, this stool will look great wherever you decide to put it. This bar stool lets you sit comfortably, without straining your back. It can also be used in the kitchen.